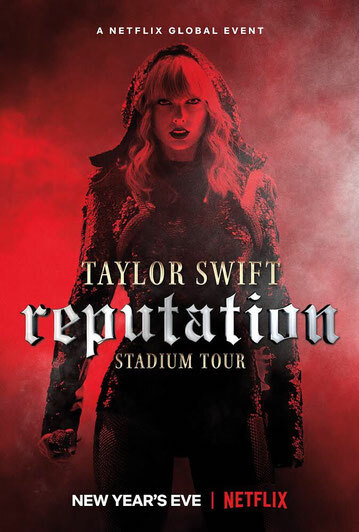 Taylor documents the last show of her massive "reputation" stadium trek, the highest-selling tour in U.S. history, in an upcoming Netflix film. The streaming service launched a dramatic trailer for "Taylor Swift Reputation Stadium Tour", which premieres globally on December 31st. The movie highlights the expansive stage production of the 2018 tour, which promoted Taylor’s sixth LP, 2017’s "reputation". The 60'000-person show includes pyrotechnics, fireworks, multiple stages and a 63-foot cobra.